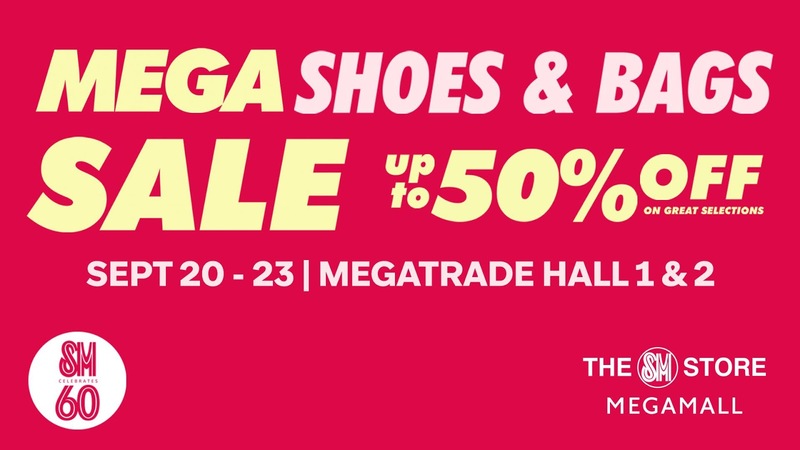 Check out the Mega Shoes & Bags SALE happening on September 20-23, 2018 at The Megatrade Hall, SM Megamall. Get up to 50% off on your favorite shoes, bags, and luggage brands! 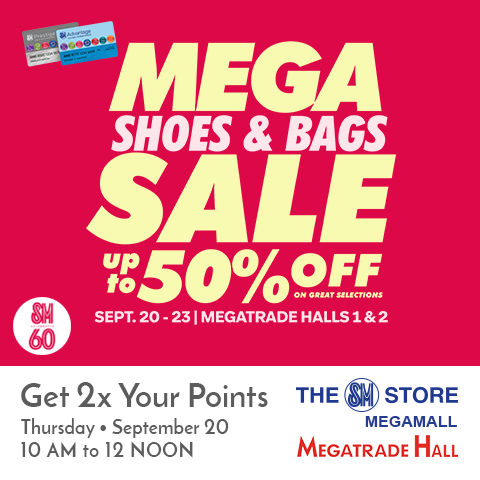 SM Advantage, SM Prestige, and BDO Rewards cardholders get 2x points when they shop on September 20 from 10am to 12nn.